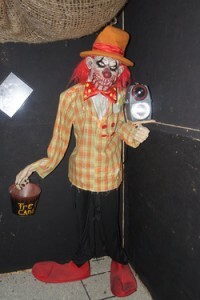 Brad Silverstein’s got a haunted barn on his hands and on Fridays and Saturdays this October you can venture through the Slaughterhouse that is Brad’s Boo Barn. 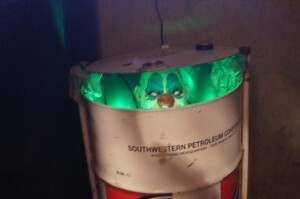 With over 25 actors and 6 areas to explore, this home haunt located in Spanaway, Washington will make sure you get a fun scare out of Halloween. 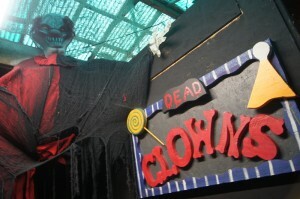 Featuring the dark school house, jail, and back by popular demand, the new clown maze. With all new scares for 2013 from the human B.B.Q. to the Slaughter house, will you have what it takes to make it all the way through Brad’s Boo Barn? Proceeds from this haunt benefit the Bethel School District. © 2019 Haunter's List. All rights reserved.